As the communications industry continues to evolve and grow, so does the complexity of our infrastructure. Introducing our Broadband Manager, Robert Peterson. 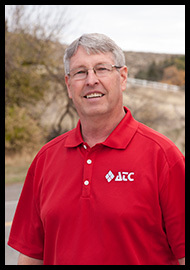 Robert has been with ATC since 2009, and has become the “Systems Architect” for the broadband side of the house. Robert enjoys working behind the scenes with the rest of our Inside Plant crew, and can often be found with a pencil tucked behind his ear when the creativity is flowing. Robert has also worked as an adjunct instructor for the University of Idaho in past years, and loves Mexican cuisine. We’re thankful to have this creative, clever minded, problem-solver on our ATC team.